The Residences at Waterstone (formerly The Fields at Anton Woods) features spacious and serene apartment homes perfect for every lifestyle. Surrounded by lush landscaping, our living spaces are bright and open, featuring gourmet kitchens, large closets and available lofts. Enjoying this charming, pet friendly community is easy with amenities like a lighted tennis court, state-of-the art fitness center and relaxing poolside atmosphere. Plus, this beautiful park-like setting is only minutes from I65, shopping, dining, neighborhood parks, great schools, and major employers! 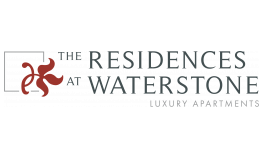 You will find all the conveniences designed to enhance your lifestyle at The Residences at Waterstone Pikesville, MD apartments. Welcome home!